Are you a certified minority or women-owned business? And what does the certification mean for your business? Is your business qualified for minority or women-owned certification just because you are a woman or a minority? I have asked these and other similar questions to several Latinas business owners and few of them were indeed certified or knew the answers. According to the Small Business Administration, President Obama’s signature of the National Defense Authorization Act (NDAA) for fiscal year 2015 is a critical move for women-owned small businesses to earn their fair share of the federal marketplace and gain economic opportunities. Although legislation existed since 2000, implementation has been a promise since President Obama took office. Finally, it was implemented in April 2011. Section 825 of the NDAA authorizes federal agencies to award sole-source contracts to women-owned small businesses eligible for the Woman-Owned Small Business (WOSB) Federal Contract Program, giving women the same level of access to the federal contracting marketplace as other disadvantaged groups. “Women entrepreneurs are growing at an unprecedented rate. More than one in four U.S. companies is owned or led by a woman, and these firms employ more than 7.8 million Americans. Passage of the women’s small business provision in NDAA is a win for women entrepreneurs and a win for America. This will help women-owned small businesses gain equal access to federal contracting as they add jobs to the U.S. economy. 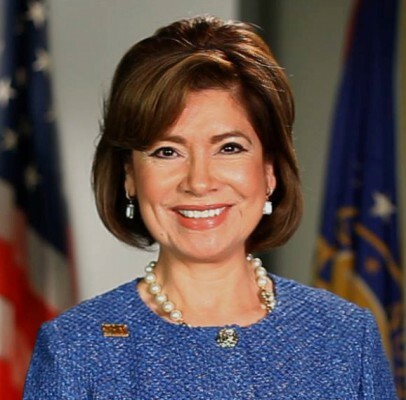 A big thank you to the leaders of the Senate and House Small Business and Armed Services Committees for helping make this a reality,” said the head of the U.S. Small Business Administration, Maria Contreras-Sweet. Currently, women entrepreneurs are receiving less than five percent of federal contracts. This new provision will give the SBA a new tool to continue to open doors for more women entrepreneurs in the federal and commercial contract space. SBA’s efforts include aggressively offering support for the Women-Owned Small Business Contract Program, which aims to expand federal contracting opportunities for women-owned small businesses. Vilma Betancourt-O’Day, President at Women Wrule, also clarifies on the same discussion: “I am a Certified Site Visitor for the National Women Business Owner’s Corporation (NWBOC), an approved 3rd party WBE certifier, a WBE/Minority/Small Business Certification consultant and an experienced Government Contractor (Federal, State, Local Municipalities. According to the Government Accountability Office (GAO)’s report on the WOSB Certification Program, two groups representing WOSBs stated that Contracting Officers prefer 3rd party certified WOSBs/EDWOSBs as the review process is less tedious for them. Fraud has already been an issue with this program as there is little to no oversight on the Self-Certified WOSBs/EDWOSBs,” she says. What is your experience regarding this topic? Share with our community your story so we can learn form each other! Women Owned Small Businesses may elect to use the services of a Third Party Certifier to demonstrate eligibility for the program, or they may self-certify using the process outlined here on this website. SBA will only accept third party certification from these entities, and firms are still subject to the same eligibility requirements to participate in the program. Please note, at the request of WBENC, SBA has approved WBENC only for the certification of WOSBs and not for the certification of Economically Disadvantaged WOSBs.